The term biology in its modern sense appears to have been introduced independently by Karl Friedrich Burdach (1800), Gottfried Reinhold Treviranus (Biologie oder Philosophie der lebenden Natur, 1802), and Jean-Baptiste Lamarck (HydrogÃ©ologie, 1802). It is a classical compound inspired by the Greek word îï¿½îï¿½î¿Ï‚, bios, "life" and the suffix -î»î¿îï¿½îï¿½îï¿½, -logia, "study of." Although biology in its modern form is a relatively recent development, sciences related to and included within it have been studied since ancient times. Natural philosophy was studied as early as the ancient civilizations of Mesopotamia, Egypt, the Indian subcontinent, and China. However, the origins of modern biology and its approach to the study of nature are most often traced back to ancient Greece. While the formal study of medicine dates back to Hippocrates (ca. 460 BC ' ca. 370 BC), it was Aristotle (384 BC ' 322 BC) who contributed most extensively to the development of biology. Especially important are his History of Animals and other works where he showed naturalist leanings, and later more empirical works that focused on biological causation and the diversity of life. Aristotle's successor at the Lyceum, Theophrastus, wrote a series of books on botany that survived as the most important contribution of antiquity to the plant sciences, even into the Middle Ages. Significant advances in the study and development of biology were promoted through the efforts of such Muslim physicians as the Afro-Arab scholar al-Jahiz (781'869) in zoology, the Kurdish biologist Al-Dinawari (828'896) in botany, and the Persian physician Rhazes (865'925) in anatomy and physiology. These philosophers elaborated on, expanded, and improved the Greek biological theories and systematics. Medicine was especially well studied by Islamic scholars working in Greek philosopher traditions, while natural history drew heavily on Aristotelian thought, especially in upholding a fixed hierarchy of life. Meanwhile, taxonomy and classification became a focus in the study of natural history. Carolus Linnaeus published a basic taxonomy for the natural world in 1735 (variations of which have been in use ever since), and in the 1750s introduced scientific names for all his species. Georges-Louis Leclerc, Comte de Buffon, treated species as artificial categories and living forms as malleable'even suggesting the possibility of common descent. Though he was opposed to evolution, Buffon is a key figure in the history of evolutionary thought; his work would influence the evolutionary theories of both Lamarck and Darwin. The discovery of the physical representation of heredity came along with evolutionary principles and population genetics. In the 1940s and early 1950s, experiments pointed to DNA as the component of chromosomes that held genes. A focus on new model organisms such as viruses and bacteria, along with the discovery of the double helical structure of DNA in 1953, marked the transition to the era of molecular genetics. From the 1950s to present times, biology has been vastly extended in the molecular domain. The DNA code was cracked by Har Gobind Khorana, Robert W. Holley and Marshall Warren Nirenberg after DNA was understood to contain codons. Finally, the Human Genome Project was launched in 1990 with the goal of mapping the general human genome. This project was essentially completed in 2003, with further analysis still being published. The Human Genome Project was the first step in a globalized effort to incorporate accumulated knowledge of biology into a functional, molecular definition of the human body and the bodies of other organisms. 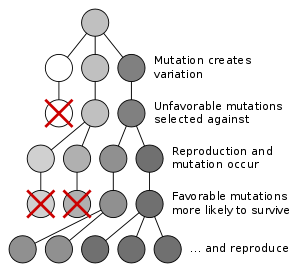 A central organizing concept in biology is that life changes and develops through evolution, and that all life-forms known have a common origin. Introduced into the scientific lexicon by Jean-Baptiste de Lamarck in 1809, Charles Darwin established evolution fifty years later as a viable theory by articulating its driving force: natural selection. (Alfred Russel Wallace is recognized as the co-discoverer of this concept as he helped research and experiment with the concept of evolution.) Evolution is now used to explain the great variations of life found on Earth. The theory of evolution postulates that all organisms on the Earth, both living and extinct, have descended from a common ancestor or an ancestral gene pool. This last universal common ancestor of all organisms is believed to have appeared about 3.5 billion years ago. 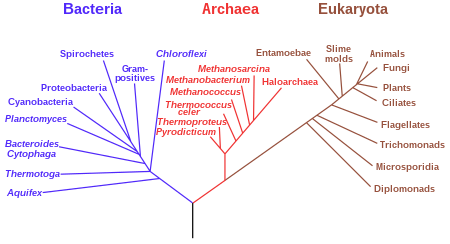 Biologists generally regard the universality and ubiquity of the genetic code as definitive evidence in favor of the theory of universal common descent for all bacteria, archaea, and eukaryotes (see: origin of life). Genes are the primary units of inheritance in all organisms. A gene is a unit of heredity and corresponds to a region of DNA that influences the form or function of an organism in specific ways. All organisms, from bacteria to animals, share the same basic machinery that copies and translates DNA into proteins. Cells transcribe a DNA gene into an RNA version of the gene, and a ribosome then translates the RNA into a protein, a sequence of amino acids. The translation code from RNA codon to amino acid is the same for most organisms, but slightly different for some. For example, a sequence of DNA that codes for insulin in humans will also code for insulin when inserted into other organisms, such as plants. In order to maintain dynamic equilibrium and effectively carry out certain functions, a system must detect and respond to perturbations. After the detection of a perturbation, a biological system will normally respond through negative feedback. 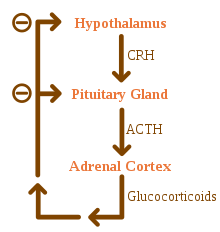 This means either reducing or increasing the activity of an organ or system in order to stabilize conditions. One example is the release of glucagon when sugar levels are too low. Evolutionary biology is partly based on paleontology, which uses the fossil record to answer questions about the mode and tempo of evolution, and partly on the developments in areas such as population genetics and evolutionary theory. In the 1980s, developmental biology re-entered evolutionary biology from its initial exclusion from the modern synthesis through the study of evolutionary developmental biology. Related fields which are often considered part of evolutionary biology are phylogenetics, systematics, and taxonomy. 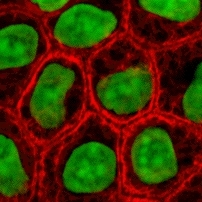 There is also a series of intracellular parasites that are "on the edge of life" in terms of metabolic activity, meaning that many scientists do not actually classify these structures as alive, due to their lack of at least one or more of the fundamental functions by which life is defined. They are classified as viruses, viroids, prions, or satellites. The scientific name of an organism is generated from its genus and species. For example, humans would be listed as Homo sapiens. Homo would be the genus and sapiens is the species. Whenever writing the scientific name of an organism, it is proper to capitalize the first letter in the genus and put all of the species in lowercase. Additionally, the entire term would be italicized or underlined. The dominant classification system is called Linnaean taxonomy, which includes ranks and binomial nomenclature. How organisms are named is governed by international agreements such as the International Code of Botanical Nomenclature (ICBN), the International Code of Zoological Nomenclature (ICZN), and the International Code of Nomenclature of Bacteria (ICNB). Astrobiology- the study of evolution, distribution, and future of life in the universe. Also known as exobiology, exopaleontology, and bioastronomy. Bioengineering - the study of biology through the means of engineering with an emphasis on applied knowledge and especially related to biotechnology. Biomathematics or Mathematical Biology - the quantitative or mathematical study of biological processes, with an emphasis on modeling. Biomechanics - often considered a branch of medicine, the study of the mechanics of living beings, with an emphasis on applied use through artificial limbs, etc. Cell biology - the study of the cell as a complete unit, and the molecular and chemical interactions that occur within a living cell. Cryobiology - the study of the effects of lower than normally preferred temperatures on living beings. Developmental biology - the study of the processes through which an organism forms, from zygote to full structure. Ecology - the study of the interactions of living organisms with one another and with the non-living elements of their environment. Embryology - the study of the development of embryo (from fecondation to birth). See also topobiology. Ethology - the study of animal behavior. Genetics - the study of genes and heredity. Histology - the study of cells and tissues, a microscopic branch of anatomy. Marine Biology - the study of ocean ecosystems, plants, animals, and other living beings. Oceanography - the study of the ocean, including ocean life, environment, geography, weather, and other aspects influencing the ocean. Pharmacology - the study and practical application of preparation, use, and effects of drugs and synthetic medicines. ^ Based on definition from Aquarena Wetlands Project glossary of terms. ^ a b Avila, Vernon L. (1995). Biology: Investigating life on earth. Boston: Jones and Bartlett. pp. 11'18. ISBN 0-86720-942-9. ^ Coleman, Biology in the Nineteenth Century, pp 1'2. ^ "BBC NEWS". 2003-04-14. http://news.bbc.co.uk/1/hi/sci/tech/2940601.stm. Retrieved 2006-07-22. ^ Mazzarello, P (1999). "A unifying concept: the history of cell theory". Nature Cell Biology 1 (1): E13'E15. doi:10.1038/8964. PMID 10559875. ^ Packard, Alpheus Spring (1901). Lamarck, the founder of Evolution: his life and work with translations of his writings on organic evolution. New York: Longmans, Green.. ISBN 0405125623. ^ As Darwinian scholar Joseph Carroll of the University of Missouri'St. Louis puts it in his introduction to a modern reprint of Darwin's work: "The Origin of Species has special claims on our attention. It is one of the two or three most significant works of all time'one of those works that fundamentally and permanently alter our vision of the world....It is argued with a singularly rigorous consistency but it is also eloquent, imaginatively evocative, and rhetorically compelling." Carroll, Joseph, ed (2003). On the origin of species by means of natural selection. Peterborough, Ontario: Broadview. p. 15. ISBN 1551113376. ^ Simpson, George Gaylord (1967). The Meaning of Evolution (Second ed.). Yale University Press. ISBN 0300009526. ^ De Duve, Christian (2002). Life Evolving: Molecules, Mind, and Meaning. New York: Oxford University Press. p. 44. ISBN 0195156056. ^ Futuyma, DJ (2005). Evolution. Sinauer Associates. ISBN 978-0878931873. OCLC 57638368 62621622 57311264 57638368 62621622. ^ Kelvin Rodolfo, Explanation of Homeostasis on scientificamerican.com. Retrieved Oct. 16, 2009. ^ D.A. Bryant & N.-U. Frigaard (November 2006). "Prokaryotic photosynthesis and phototrophy illuminated". Trends Microbiol 14 (11): 488. doi:10.1016/j.tim.2006.09.001. PMID 16997562. ^ Smith, A. L. (1997). Oxford dictionary of biochemistry and molecular biology. Oxford [Oxfordshire]: Oxford University Press. pp. 508. ISBN 0-19-854768-4. "Photosynthesis - the synthesis by organisms of organic chemical compounds, esp. carbohydrates, from carbon dioxide using energy obtained from light rather than the oxidation of chemical compounds." ^ Campbell, Neil A. and Reece Jane B (2001). "6". Biology. Benjamin Cummings. ISBN 978-0805366242. OCLC 48195194 53439122 55707478 64759228 79136407 47521441 48195194 53439122 55707478 64759228 79136407. ^ Bartsch/Colvard, The Living Environment. (2009) New York State Prentice Hall Regents Review. Retrieved Oct. 16, 2009. ^ "Anatomy of the Human Body". 20th edition. 1918. Henry Gray. ^ Anthony J. F. Griffiths .... (2000). "Genetics and the Organism: Introduction". in Griffiths, William M.; Miller, Jeffrey H.; Suzuki, David T. et al.. An Introduction to Genetic Analysis (7th ed.). New York: W. H. Freeman. ISBN 0-7167-3520-2. http://www.ncbi.nlm.nih.gov/books/bv.fcgi?rid=iga.section.60. ^ Brenner, S. (May 1974). "The Genetics of Caenorhabditis elegans" (PDF). Genetics 77: 71'94. http://dev.wormbase.org/papers/31_Brenner74.pdf. ^ Eric C. R. Reeve, ed (2001-06-23). "Drosophila melanogaster: The Fruit Fly". Encyclopedia of genetics. USA: Fitzroy Dearborn Publishers, I. pp. 157. http://books.google.com.au/books?id=JjLWYKqehRsC&pg=PA157&lpg=PA157&dq=drosophila+eggs+day+lifetime&source=bl&ots=V5BTOFQFeh&sig=JYiRArLjNyJy8SJylcncC26hh08&hl=en&ei=wTtLSpPOF4nENrTSwLgC&sa=X&oi=book_result&ct=result&resnum=2. Retrieved 2009-07-01. ^ Haffter P, NÃ¼sslein-Volhard C (1996). "Large scale genetics in a small vertebrate, the zebrafish". Int. J. Dev. Biol. 40 (1): 221'7. PMID 8735932. http://www.intjdevbiol.com/paper.php?doi=8735932. ^ Keller G (2005). "Embryonic stem cell differentiation: emergence of a new era in biology and medicine". Genes Dev. 19 (10): 1129'55. doi:10.1101/gad.1303605. PMID 15905405. http://genesdev.cshlp.org/content/19/10/1129.long. ^ Rensink WA, Buell CR (2004). "Arabidopsis to rice. Applying knowledge from a weed to enhance our understanding of a crop species". Plant Physiol. 135 (2): 622'9. doi:10.1104/pp.104.040170. PMID 15208410. ^ Coelho SM, Peters AF, Charrier B, et al (2007). "Complex life cycles of multicellular eukaryotes: new approaches based on the use of model organisms". Gene 406 (1-2): 152'70. doi:10.1016/j.gene.2007.07.025. PMID 17870254. ^ Fields S, Johnston M (Mar 2005). "Cell biology. Whither model organism research?". Science 307 (5717): 1885'6. doi:10.1126/science.1108872. PMID 15790833. http://www.sciencemag.org/cgi/content/summary/307/5717/1885. ^ Jablonski D (1999). "The future of the fossil record". Science 284 (5423): 2114'16. doi:10.1126/science.284.5423.2114. PMID 10381868. ^ Neill, Campbell (1996). Biology; Fourth edition. The Benjamin/Cummings Publishing Company. 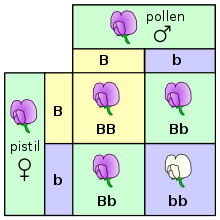 p. G-21 (Glossary). ISBN 0-8053-1940-9. ^ Douglas, Futuyma (1998). Evolutionary Biology; Third edition. Sinauer Associates. p. 88. ISBN 0-87893-189-9. ^ "80.001 Popsiviroidae - ICTVdB Index of Viruses." (Website.) U.S. National Institutes of Health website. Retrieved on 2009-10-28. ^ "90. Prions - ICTVdB Index of Viruses." (Website.) U.S. National Institutes of Health website. Retrieved on 2009-10-28. ^ "81. Satellites - ICTVdB Index of Viruses." (Website.) U.S. National Institutes of Health website. Retrieved on 2009-10-28. ^ Margulis, L; Schwartz, KV (1997). Five Kingdoms: An Illustrated Guide to the Phyla of Life on Earth (3rd ed.). WH Freeman & Co. ISBN 978-0716731832. OCLC 237138975 223623098 237138975. ^ a b Woese C, Kandler O, Wheelis M (1990). "Towards a natural system of organisms: proposal for the domains Archaea, Bacteria, and Eukarya". Proc Natl Acad Sci USA 87 (12): 4576'9. doi:10.1073/pnas.87.12.4576. PMID 2112744. PMC 54159. http://www.pnas.org/cgi/reprint/87/12/4576. ^ Heather Silyn-Roberts (2000). Writing for Science and Engineering: Papers, Presentation. Oxford: Butterworth-Heinemann. pp. 198. ISBN 0750646365. http://books.google.com/?id=hVUU7Gq8QskC&lpg=PA198&dq=species%20epithet%20capitalize&pg=PA198#v=onepage&q=species%20epithet%20capitalize. ^ "Recommendation 60F". International Code of Botanical Nomenclature, Vienna Code. 2006. pp. 60F.1. http://ibot.sav.sk/icbn/frameset/0065Ch7OaGoNSec1a60.htm#recF. ^ Ahoren Oren (2004). "A proposal for further integration of the cyanobacteria under the Bacteriological Code". Int. J. Syst. Evol. Microbiol. 54 (Pt 5): 1895'1902. doi:10.1099/ijs.0.03008-0. PMID 15388760. ^ Habitats of the world. New York: Marshall Cavendish. 2004. pp. 238. ISBN 978-0-7614-7523-1. http://books.google.com/?id=U-_mlcy8rGgC&pg=PA238. ^ Black, J (Jun 2002). "Darwin in the world of emotions" (Free full text). Journal of the Royal Society of Medicine 95 (6): 311'3. doi:10.1258/jrsm.95.6.311. ISSN 0141-0768. PMID 12042386. PMC 1279921. http://www.jrsm.org/cgi/pmidlookup?view=long&pmid=12042386. Alberts, Bruce; Johnson, A, Lewis, J, Raff, M, Roberts, K & Walter, P (2002). Molecular Biology of the Cell (4th ed.). Garland. ISBN 978-0815332183. OCLC 48122761 57023651 69932405 145080076 48122761 57023651 69932405. Begon, Michael; Townsend, CR & Harper, JL (2005). Ecology: From Individuals to Ecosystems (4th ed.). Blackwell Publishing Limited. ISBN 978-1405111171. OCLC 57675855 62131207 57639896 57675855 62131207. Campbell, Neil (2004). Biology (7th ed.). Benjamin-Cummings Publishing Company. ISBN 0-8053-7146-X. OCLC 71890442. Colinvaux, Paul (1979). Why Big Fierce Animals are Rare: An Ecologist's Perspective (reissue ed.). Princeton University Press. ISBN 0691023646. OCLC 24132192 10081738 24132192. Hoagland, Mahlon (2001). The Way Life Works (reprint ed.). Jones and Bartlett Publishers inc. ISBN 076371688X. OCLC 45487537 223090105 45487537. Janovy, John Jr. (2004). On Becoming a Biologist (2nd ed.). Bison Books. ISBN 0803276206. OCLC 56964280 55138571 56964280. Tobin, Allan; Dusheck, Jennie (2005). Asking About Life (3rd ed.). Belmont, CA: Wadsworth. ISBN 0-534-40653X.